The Christian Association of Nigeria, CAN, on Wednesday tasked northern governors to stop further killing of Christians in the region. 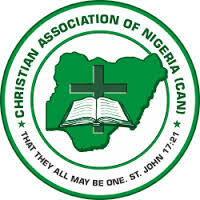 Rising from a joint meeting of the Southern Nigeria Christian Elders’ Forum and the Christian Association of Nigeria, South-East zone, the Christian leaders condemned what they called “the inhuman treatment ‎meted out on Christians in the Northern part of Nigeria”. “How can Christians be treated like cows and goats in the Northern part of Nigeria with impunity while we claim that Nigeria is a secular state?” the group queried. It warned that “this is a sign of total Islamization of Nigeria, which is very dangerous to the corporate existence of the entity called Nigeria”. In a communiqué after the meeting, which was signed by the group’s chairman, David Eberechukwu, ‎and the administrative secretary, Joseph Ajujungwa, the leaders called on northern governors to protect the entire citizens in the region as a right and responsibility. “The beheading of Mrs. Bridget in Kano and the murder attempt on Emmanuel in Kaduna should be the first and last of such because no one man or section has the monopoly of violence and we must do everything to stop such from reoccurring. The leaders said, “That all the Muslims in the South should as a matter of urgency speak to their people in the Northern part to desist because if the killings continue, it will affect everybody both in the North and in the South. If God has brought us together, then let us live in unity. “We equally call on the Federal Government to provide security for all the citizens no matter the creed and religion. We are human beings and not animals. We are entitled to live and not to be destroyed,” they stated.